We offer sump pump installation, replacement, repair, and maintenance services. If your sump pump has failed or is not performing as it should, schedule an appointment with us today. Our expert plumbers will let you know what the problem is and will either repair or replace your sump pump. If you do need a new sump pump, we offer Zoeller heavy duty submersible sump pumps. Call Max Sr. & Paul Schoenwalder Plumbing Heating Air Conditioning today for quality sump pump services in Union, NJ. Take a look at the products we install, all of which can help give you peace of mind about your basement or crawlspace. Heavy Duty Submersible Sump Pumps– We install quality systems from Zoeller and Little Giant. Battery Backup Sump Pumps – A battery backup helps to keep your sump pump running when the power fails. Water–Powered Backup Systems – While a battery backup system may be reliable for a while, there’s always the chance that the batteries will not last throughout the duration of a power outage. With a water jet backup system, water from the municipal supply powers the backup sump pump instead. Leader Drain Piping – It is very important that the water discharging from your sump pump be directed as far away from your home as possible. We also install leader drain pipe which takes the water away from your house. Emergency Service – Call us when your basement is flooding and your sump pump has failed. Inspections – We can make sure everything is running smoothly and recommend services or replacement systems if necessary. 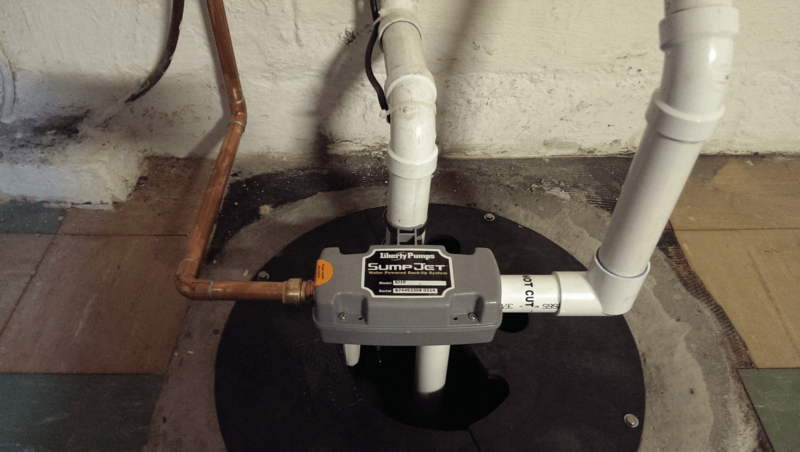 Sump Pump Repair and Replacement – When your sump pump is not working properly, you may just need your discharge line cleared, a new float, a new check valve or your sump pump may need to be replaced. New Installation – We’ll install a brand new sump pump for you, with necessary piping and can install a backup pump as well. Make sure you do whatever you can to keep your sump pump working in good condition. You should always test your sump pump periodically, especially prior to any major storm, to ensure it will work when you need it most. Call us if anything is not working as it should. Make sure your sump pump discharge lines are kept clear and have our technicians come in for inspection and maintenance visits. Call Max Sr. & Paul Schoenwalder Plumbing Heating Air Conditioning for sump pump services in Union, NJ. Get service from people you trust to do the job right. We were established in 1912, and we’ve been family owned and operated ever since. You can expect prompt, professional and personalized service with any job. We are committed to excellence. Call us today!